CCG has a position opening up in July, we would love to have you work with our current coach in June before he moves to Monterey to complete his teaching credential. This is a great opportunity to live and work in the San Luis Obispo area. 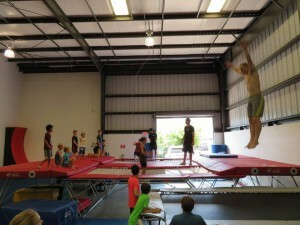 Central Coast Gymnastics Sports Center is located in the heart of SLO and offers a beautiful 16,000 sq. ft. training facility with a growing boys developmental & team program of levels 4-10 athletes. CCG is looking for a knowledgeable, competitive team coach with experience in levels 4-5 (higher coaching experience would be beneficial). 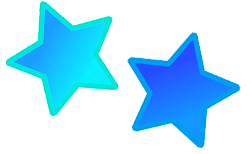 Who is enthusiastic, compassionate, and dependable team-player for our growing boy’s competitive gymnastics program. CCG invests each year in our boys TEAM program, including recently purchasing a NEW AAI Elite Ring Tower. This is a career opportunity for the right person which includes a full time position of 35-40 hours per week.Our ideal candidate has coaching experience through level 4-5, a solid understanding of fundamentals and skill progressions, familiarity with USAG JO routines and requirements, and outstanding interpersonal skills, and a current USAG professional membership is required to apply. If you do not have a current First Aid/CPR/AED certification, we will help you obtain that certification within 6 months in house at CCG. We are conducting interviews and if you are looking for a great place to live and grow, CCG is the place to be. Compensation based on experience. Travel for competitions & training’s, evening and weekend hours required. Please send a letter of interest, your resume, and a job application form the link above to Mimi@iflipforCCG.com. Central Coast Elite is looking to hire recreation, cheer tumble cheerleading, and competitive team coach(es). Established in 2000, we are considered the premier cheerleading program on the Central Coast. With our various connections to local high schools, youth programs, and colleges as well as our expansive facility, which includes two gym buildings and a family friendly environment, CCE the perfect setting to grow your skills and experience as a coach. • Some background in cheerleading whether high school or all star experience. Please email resume and/or any questions to Aly at cce@iflipforccg.com. Central Coast Gymnastics is seeking an energetic, passionate, and experienced Rec/Dev/Competitive T&T Coach to further develop and grow our over 100 rec. and dev. athletes, and grow the competitive T&T program at all levels. We are looking for a career oriented coach who loves to inspire children through the sport of T&T, is self-motivated. Experience leading a program is preferred. Our State of the Art T&T Gym, which is located in our Gym #2 that opened up in Aug. 2016 across the parking lot from our Gym #1. Each gym is approximately 16,000 sq. ft. and Fully equipped. And yes, we have a Skakun Original Russian Tumbling Strip, we have one of the only in our nation -2 above ground new Gaofie tramps, a black bed, DMT AAI Elite in Gym 2. You will be working directly with our amazing and very talented current Lead Coach- Nick Bockelman, he responsible for the training all competitive of our competitive team athletes levels 2 – 10/Elite with our team of T&T assistant coaches currently. We are in need of a full time, career oriented, and very passionate T&T Program Director who can also coach all levels from rec up to competitive team athletes. CCG has been located in San Luis Obispo for 27 years, we have a well oiled and highly successful gym & reputation. CCG currently has directors in place for all our programs, including women’s & Xcel program, men’s program, acro program, cheer program, and our Events and Camps Programs. We are in need of the right person to lead our T&T Program, is that you? Perfect for someone who loves the living 10 minutes from the beautiful beaches of Central California. Benefits include: (1) week Paid Time Off (PTO), health, dental, vision, a paid personal day, & (6) paid holidays. Pay rate based on experience and knowledge. Annual Salary for full time position based on experience/knowledge can range between $40,000-$45,000, plus additional earnings during competition season and with doing private lessons. Minimum of 3 years of experience with all levels in T&T, especially levels 5-10 in all 3 disciplines including competitions. References will be required and job history. USA Gymnastics Professional Member, safety cert, and back ground check required. Please send your resume to Mimi@iflipforCCG.com and please fill out and send or drop off at CCG your resume and CCG Application above. We are looking for awesome people (and I mean AWESOME), who love inspiring young children ranging in age from 8 months to 5 years, to coach preschool gymnastics classes in our thriving preschool gymnastics program. 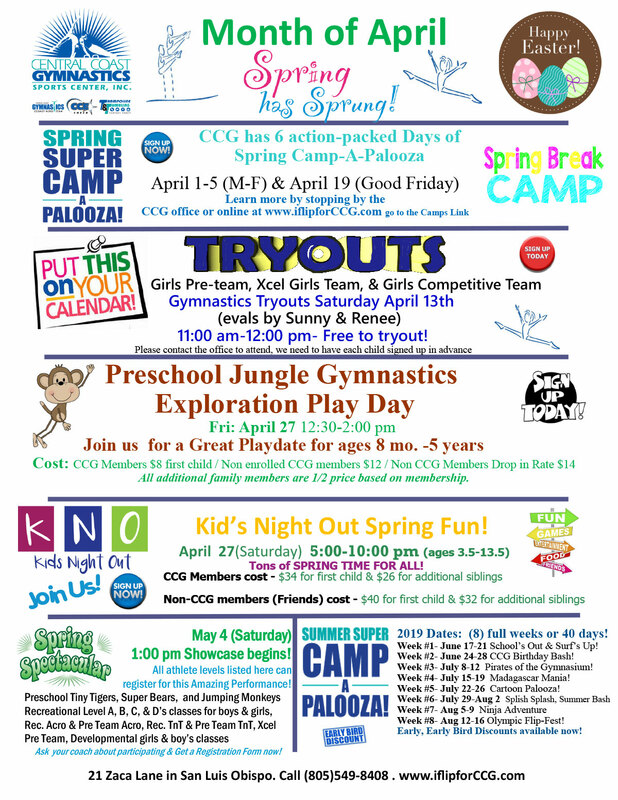 CCG has the largest and most amazing preschool gymnastics classes on the entire Central Coast with over 200-250 children enrolled monthly. If you are interested in working with the following age groups: infants & toddlers ages 8 months-2 years, and preschoolers ages 3-5 years we have openings part time (no experience required for part time, we will definitely train you) and possibly full tine with prior experience. Hourly wage will depend on coaching experience, back ground, knowledge, and if you have obtained a college degree or teaching credential. Must be AWESOME, encouraging, have good class management that is encouraging, and LOVE working with children! 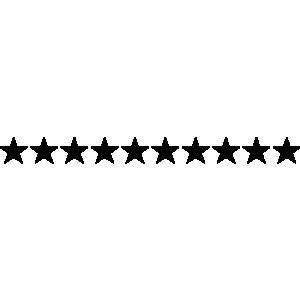 Reliable, dependable, punctual, and accountable. Attend monthly training’s and meetings. Be a part of helping keep the preschool jungle gym clean weekly and decorated monthly. Be able to work some mornings, or some afternoons up till 6:00 pm, and Saturday mornings between 9 am – 12 pm the first 9 months to a year are must. Enjoy being with children, be passionate, and love the inspiring part of teaching such small children. Please email your resume & Job Application to Mimi@iflipforCCG.com. Find the CCG Job Application on the link above. Once we have your resume & Job Application, we will contact you and start the process of the interview. We only have a few positions open in this department so don’t delay, apply today! Fall 2019. Training begins as soon as possible. 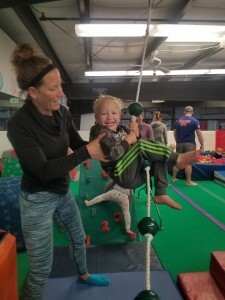 We are looking for awesome people, who love inspiring young children ranging in age from 5 – high school aged children, to coach recreational gymnastics, tumbling, and trampoline classes in our thriving recreational girls and boys gymnastics classes, train our parkour, tricking, and Ninja Agility athletes, and a knowledgeable coach for our Tumble and Trampoline program. 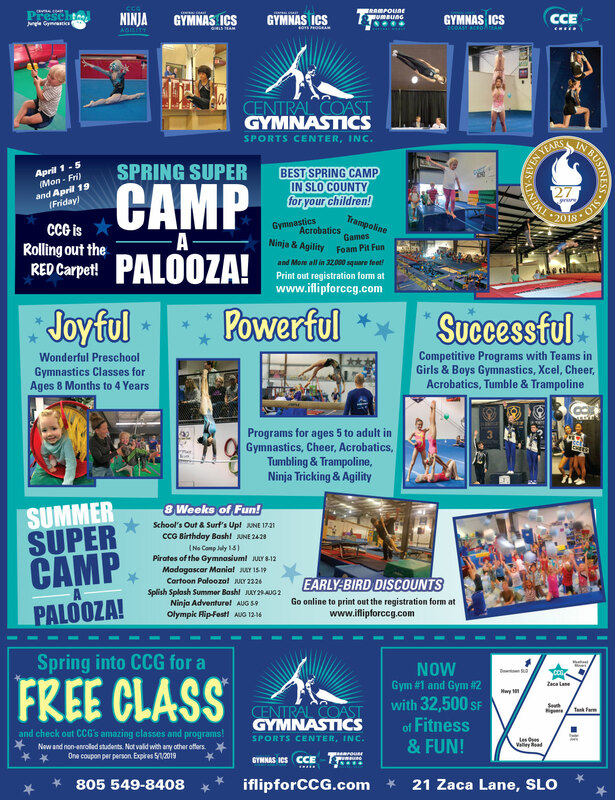 CCG has the largest and most amazing gymnastics facilities, classes, and now two gyms on the entire Central Coast with over 32,000 sq. ft of fitness & fun. If you are interested in working in the following amazing programs,we have openings part time (no experience required for part time, we will definitely train you) and possibly full tine with experience. Hourly wage will depend on coaching experience, back ground, knowledge, and if you have obtained a college degree or teaching credential. 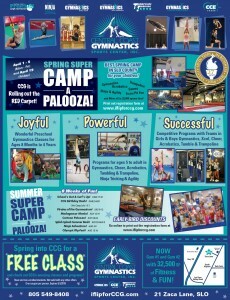 Be a part of helping keep the CCG gyms clean and amazing. Part time option would mean being available to work some afternoons up till 7:00 pm, and Saturday mornings between 9 am 12 pm the first 9 months to a year are must. Enjoy being with children, be passionate, enthusiastic, caring, and love the inspiring part of teaching children. Please email your Resume and Job Application from the link above to Mimi@iflipforCCG.com. Once we have your resume and Job Application, we will contact you and start the process of the interview. We are hiring for a few positions open in each department so don’t delay, apply today! CCG in San Luis Obispo (live & work 10 minutes from the California Coast) is looking for an enthusiastic and motivated Girls JO Team coach who wants to join our growing competitive program. We are striving to hire a positive role model who wants to instill the discipline, passion, and encourage the love of the sport of gymnastics. 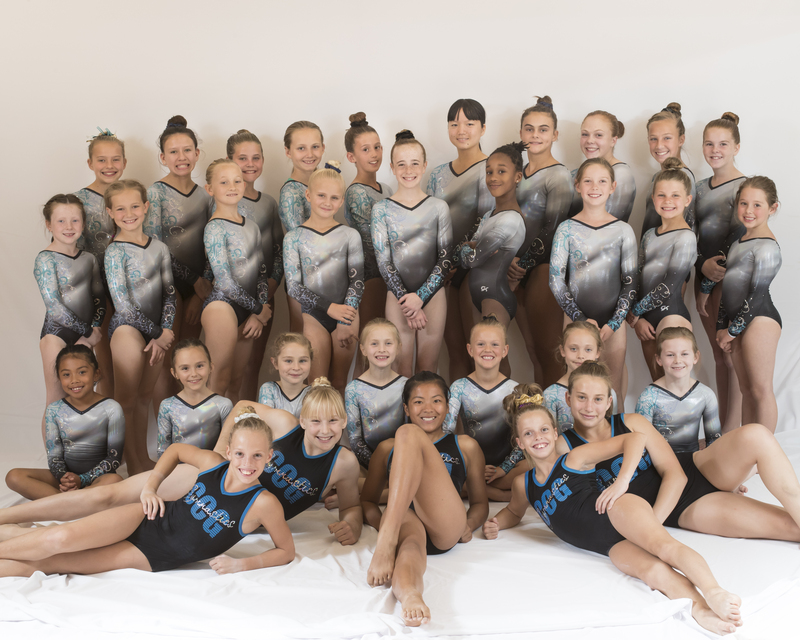 Qualified applicants should have three or more years of experience coaching girls JO Levels 4-10 girls gymnastics, with strengths on beam and floor. We provide excellent training opportunities for our competitive coaches who want to learn more and advance their career annually. Compensation is negotiable, based on experience, years coaching, certifications, training’s, and history. Please submit two letters of recommendation. We are looking for a missing piece to our puzzle, one that will be apart of the team for a years! Paid Time Off, holiday pay, and medical/dental/vision benefits. Compensation will be based on experience and knowledge, years in the sport coaching higher levels. Hourly wage for 30-40 hours per week will be between $18 and $25 per hour to start. Opportunities for add. hours through PS/Rec/developmental, events, birthday parties, Kids Night Out, camps, and you can earn extra money through our private lessons. 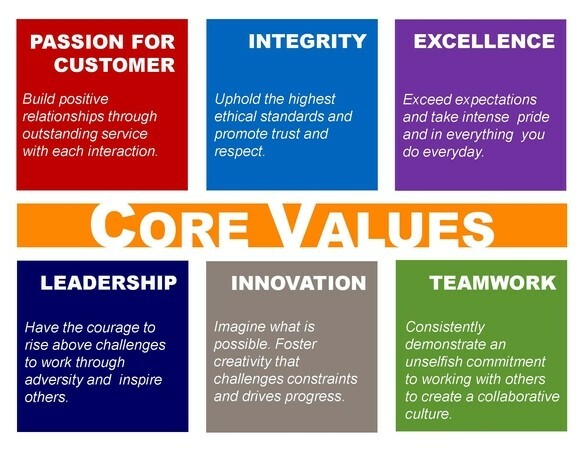 Positive, Healthy, Team Working and FUN Culture that is inspiring and always focus on quality! If you are an AWESOME, Accountable, and Committed to Excellence please send your Resume and Job Application to Mimi@iflipforCCG.com (as soon as possible, we are interviewing now). 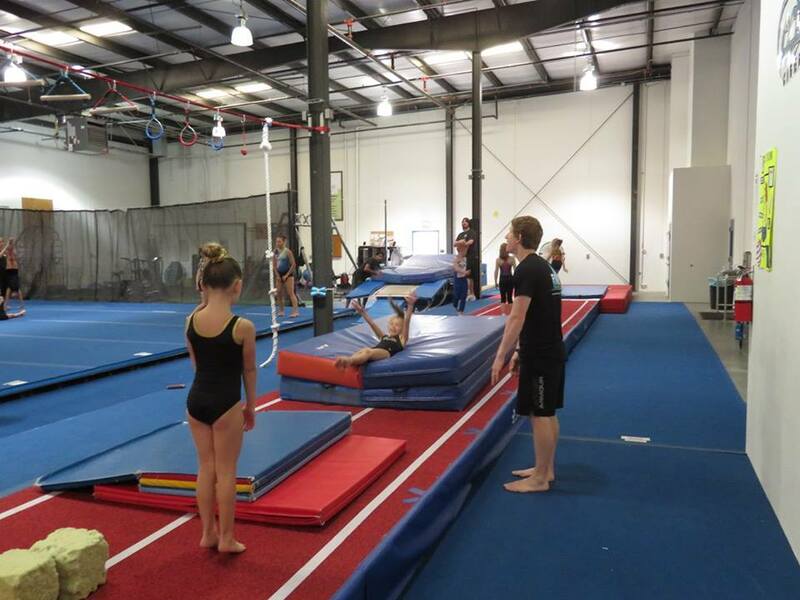 This is a great opportunity to work at the BEST Gymnastics Training facility in the San Luis Obispo area. 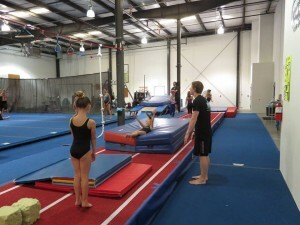 Central Coast Gymnastics Sports Center is located in the heart of SLO and offers a beautiful two gyms and 32,500 sq. ft. training facilities with a growing girls team program of levels 2-10 athletes. 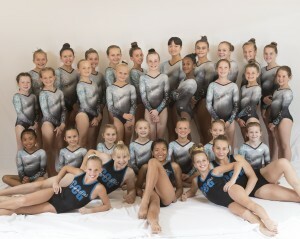 Our ideal candidate has coaching experience in the levels 4-10 USAG JO Program, good references, a solid understanding of fundamentals and skill progressions, familiarity with USAG JO routines and requirements, and outstanding interpersonal skills, and a current USAG professional membership is required to apply. If you do not have a current First Aid/CPR/AED certification, we will help you obtain that certification within 6 months in house at CCG. We are conducting interviews and if you are looking for a great place to live and grow, CCG is the place to be. Compensation based on experience. You may be asked to travel for competitions & additional training’s, you will need to work evenings and weekend hours. Please send a letter of interest, resume, and job application from link above to Mimi@iflipforCCG.com. 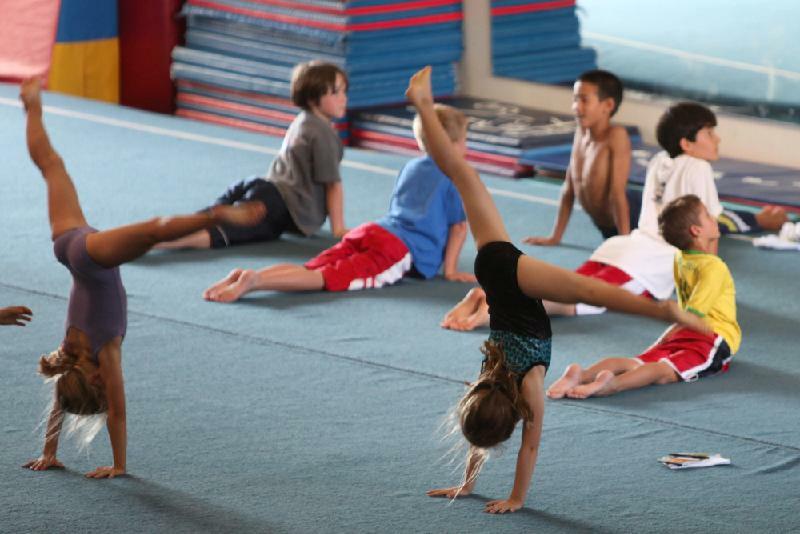 At Central Coast Gymnastics (CCG), we strive to be the #1 children’s sports center for families on the Central Coast. Our company has been established in San Luis Obispo since 1991. We welcome our customers to a wonderful, fun and safe environment where families can feel safe and children can be inspired to learn. We proudly offer a wide variety of programs for children ages 8 months and up, for all abilities, plus some adult classes too! Classes are offered year-round in our (2) gyms with a total of 32,500 square feet. 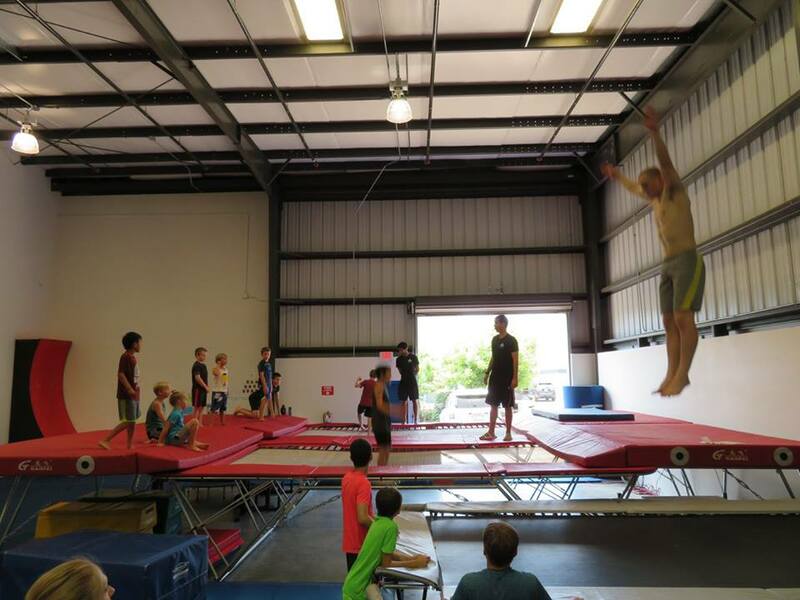 We specialize in parent participation, preschool programs, tumbling & trampoline, acrobatics, cheer, tricking & agility gymnastics, ninja agility, competitive teams, developmental classes, boy’s gymnastics, girl’s gymnastics, and many more. We also host at our gym birthday parties, camps, field trips, training clinics, and more. We are conveniently located just off Highway 101 in San Luis Obispo. We are looking for a dedicated staff member that is passionate about helping others and loves to work with people. 30-40 hours per week. Monday – Saturday. Flexible hours. Must be able to work Saturdays from 8:30 am – 12:30 pm each week. Between $13.00 – $18.00 per hour. 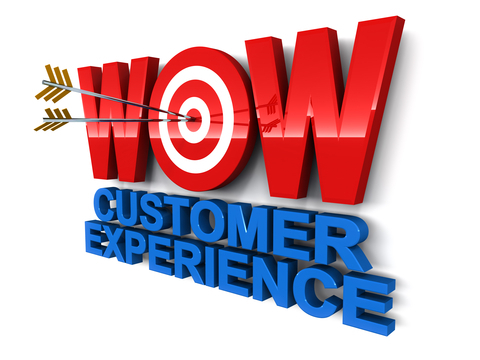 Based on experience, knowledge, and customer service training background. 5 days of PTO (includes 3 sick days), plus one personal day, equaling a total of 6 days. 6 paid holidays. We will pay 75% of health benefits plan (up to $400 for the individual), 75% of dental, and 75% of vision. Why CCG is the place to be for you! 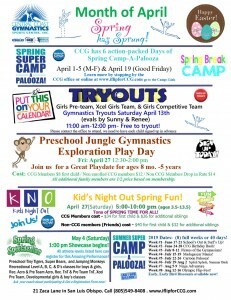 CCG is always looking to hire quality part time staff to work in our Preschool Jungle Gymnastics program, in our Recreational Boys and Girls program, TnT program, CCE Cheer program, Acro program, and for our Epic events like Kids Night Out Parties, Super Camps during the Holiday Breaks, and CCG’s Funtastic Birthday Parties. Please send in your resume to CCG and fill out an application, ask to meet with the Gym Manager Shannon or the Owner Mimi. Both of us would like to meet you. Or you can email us at Mimi@iflipforCCG.com or for Shannon Gym manager@iflipforCCG.com. We look forward to meeting you.